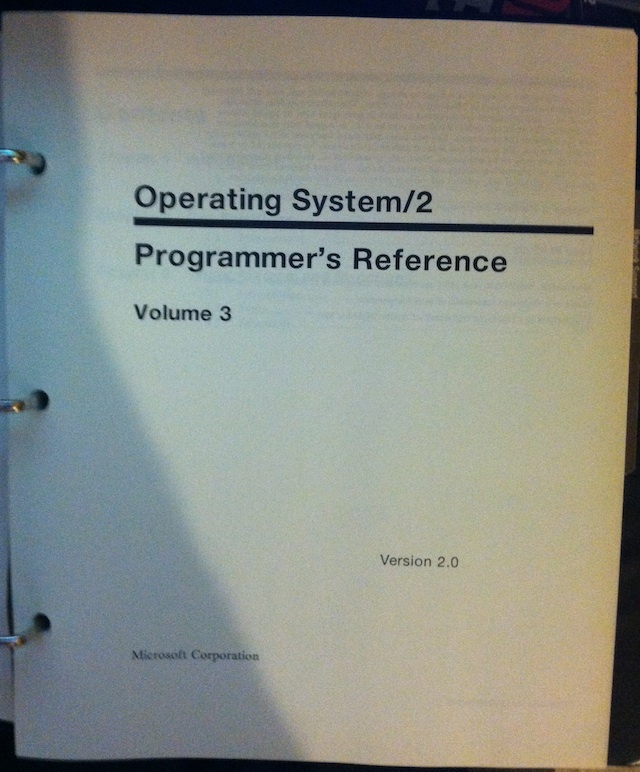 Thats right I’m talking about the Microsoft OS/2 2.0 beta. This is the badboy that cost some $2,600 back in 1989/1990 and its stall basically split up the IBM Microsoft OS/2 alliance. Sadly I don’t have volume 1 (although the binder spine says so, I have to wonder if the binders were reorganized) so I don’t have any media, nor the overview stuff, just the API’s for the UI & Networking and some general API stuff. There is no mention of SOM or Workplace shell, so clearly this is stuff IBM added on their own. It seems if MS & IBM had not dragged so slowly with 2.0 it really could have been pushed out in 1990, instead Microsoft basically gave up on Cruiser and pushed forward with Windows 3.0 which it controlled all the way. And of course if IBM had allowed Microsoft to control the GUI side, OS/2 would have been far more NT’ish from the getgo.  Oh well instead we were denied any decent OS until what? 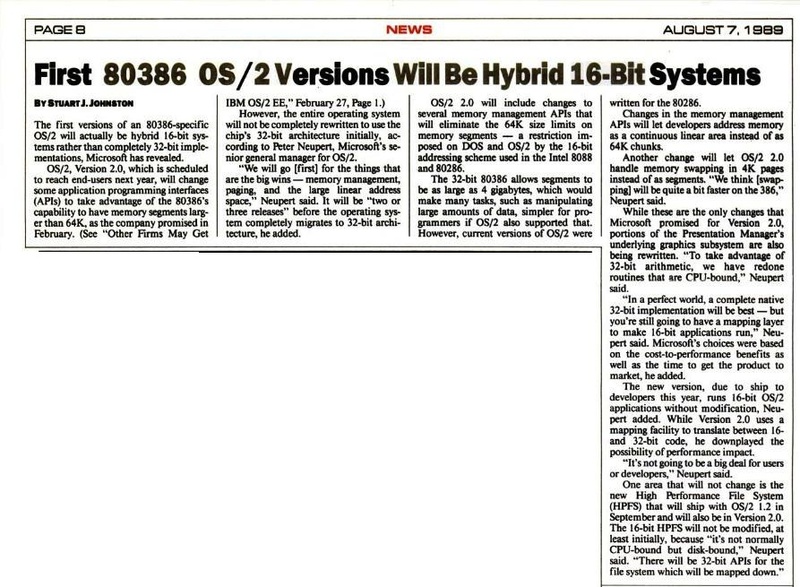 1994 on the Microsoft side with NT 3.5 although of course it was closer to 1996 with NT 4.0 did it even matter by then. 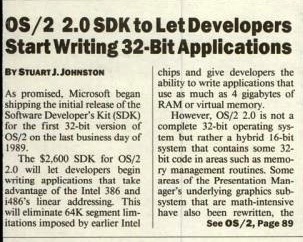 OS/2 was quite usable at the 2.0 level, but it was delayed with the advent of Windows 3.0 and OS/2 HAD to run Windows apps or it’d never go anywhere. So here is some camera phone pictures of what materials I have on this rare version. Naturally if anyone actually has Volume 1 or the media set feel free to contact me!!! 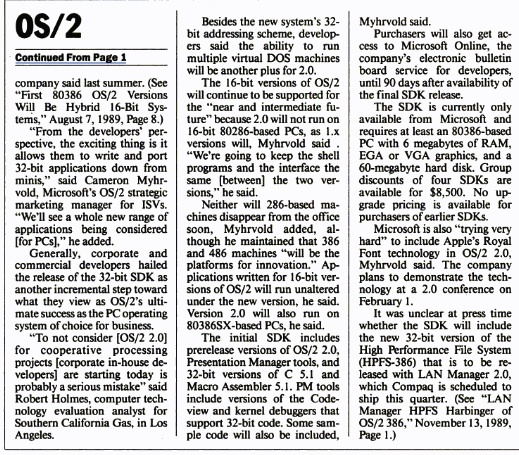 I’ve also found these snippits from Infoworld going back to 1989..
One interesting thing seems that once Microsoft abandoned OS/2 2.0 the kernel never seemed to have changed as you still can load 16bit device drivers so it feels as if all development in that space froze until the ill fated botched port to L4. Wow. Congrats. How did you manage to find those? Ebay? Garage sales? Archaeological digs under MS’s old building? What sort of info is in there anyway? Nice finding !!!! 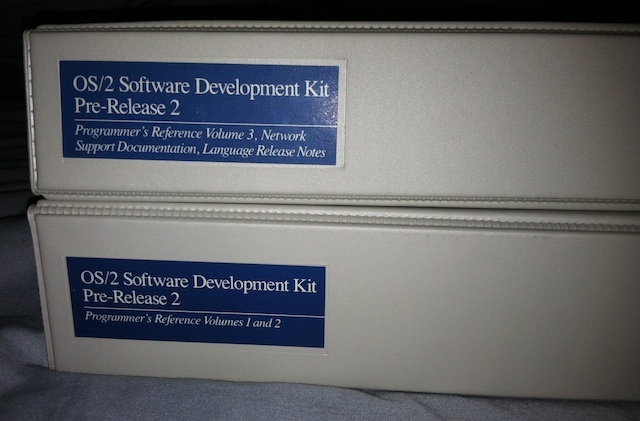 Thanks for sharing, very interesting OS/2 old stuff. 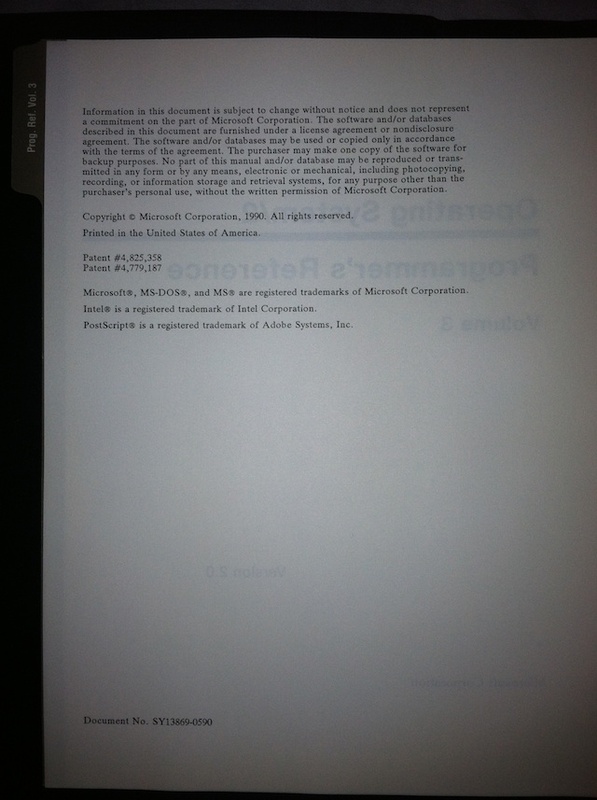 And in the meantime MS attacked OS/2 using unethical tactics like “Microsoft Munchkins”.